Defining grace and elegance, Lazare Kaplan Inc., founded in 1903, has become a premier diamond-cutting company in the world. Lazare Kaplan Inc. offers unprecedented ethical and professional standards in the diamond industry. Knowing that you are the owner of "The World's Most Beautiful Diamond" gives you the absolute confidence that you have made the finest choice. This original ideal cut diamond allows you to take part in one of the richest experiences in the diamond world. Gift yourself elegance with a choice of engagements rings, wedding bands, pendants, charms and earrings. Lavish in our wide collection of engagement rings. Some of Lazare’s most popular wedding band and engagement ring collections include: Simply Twist, Simply Classic, Ideal Surroundings and Simply Lazare. Each collection offers its own unique standards for the idea person. For an intricate and in-depth design, our Simple Twist collection offers simple intertwining ring shanks, giving this engagement ring more dimension and a more intricate look. 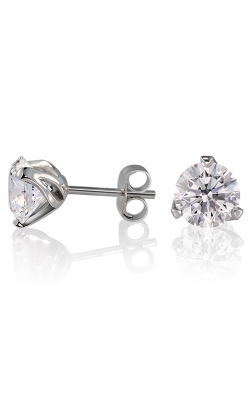 For a more classic look, our Simply Classic collection offers a timeless appeal. The Ideal Surroundings is a collection that is sure to dazzle. The halo setting can be paired perfectly with additional diamonds cascading down the ring band for additional sparkle -- perfect for the woman who lights up your life. 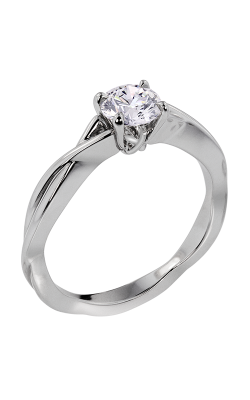 The Simply Lazare collection is a collection made up of only solitaire settings that offer an understated elegance. Designed for your unique style, this collection is made to endure. With any of these Lazare collections you are bound to impress your beloved with a ring that speaks from your heart. Long Jewelers is located in Virginia Beach, Virginia. As a member of the Museum of Named Diamonds and with 30 years of experience in the fine jewelry business, Long Jewelers offers our customers exceptional customer service. Under the successful leadership of founder and president David Long, our showroom in Virginia Beach has been featured in magazines such as Town & Country and InStyle. In addition to having been voted "Best of The Beach" more than 20 times, we have also come to possess the largest jewelry showroom in Virginia. Making the decision on the right jeweler can be a hard one, but Long Jewelers makes it easy. You can rest assured that "You Belong at Long Jewelers!". For more information, contact Long Jewelers for an appointment today!